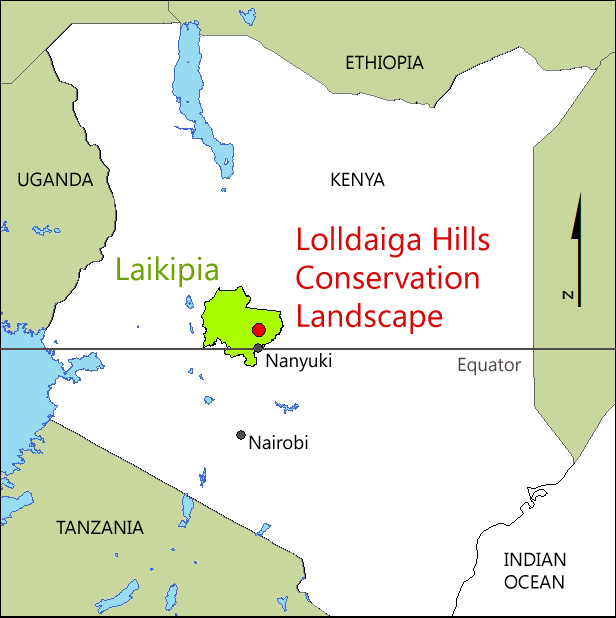 About Lolldaiga Hills Conservation Landscape - Lolldaiga Hills Ltd. The Lolldaiga Hills Conservation Landscape (LHCL) is comprised of four properties; Lolldaiga (ca. 200 km²), Ole Naishu (ca. 125 km²), Enasoit (ca. 17 km²), and Ol Jogi (ca. 210 km²). 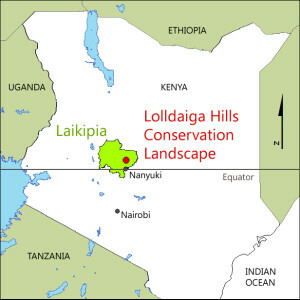 The Conservation Landscape is the focus of the research and conservation activities of the Lolldaiga Hills Research Programme (LHRP). There are currently several sustainable land-use initiatives in the LHCL, including holistic management of wildlife and livestock (cattle, sheep, camels), eco-tourism, harvesting of natural products, and applied field research. The 550 km² Lolldaiga Hills Conservation Landscape (LHCL) lies within Laikipia County (9,500 km²) and is part of the ‘Ewaso Ecosystem’ (56,000 km²). The Ewaso Ecosystem is in a transition zone among three of Africa’s major vegetation types; ‘Somalia-Masai Semi-desert Grassland and Shrubland’, ‘Somalia-Masai Acacia-Commiphora Bushland and Thicket’, and ‘Afromontane Undifferentiated Montane Vegetation’. Here, the savannahs of eastern Africa grade into both the semi-arid lands of the Horn of Africa and the montane elements of Mount Kenya and the Aberdares Range. The resultant great diversity of vegetation types, ecotones and mosaics accounts, in part, for the high biological diversity of Laikipia Country (see below). The LHCL ranges in altitude from about 1,700 m (5,580 ft) to 2,300 m (7,550 ft), and includes the highest point in eastern Laikipia County. The basement rock here, which includes the hills and inselbergs (or ‘kopjes’), is extremely ancient (Pre-Cambrian; >542 million years ago), whereas the volcanic material is much more recent (Tertiary; 65 – 2 million years ago). This is an area of incredible scenic beauty with a complex mix of rugged ridges, granitic out-crops, deep valleys, rolling hills, and gently sloping plains. Laikipia County is one of the few places in Africa where people on private and communal lands have successfully consolidated natural habitats to conserve biodiversity, while working to sustainably use natural resources for the benefit of all. This integrated conservation and resource-management vision for the ‘common good’ is the product of people with many different land-use needs and priorities (e.g., traditional pastoralists, ranchers, large- and small-scale farmers, community organisations, tourism operations, and conservation and research institutions). Over the past two decades, these stakeholders have been able to increasingly experience the benefits of working together to sustainably use Laikipia’s natural resources. The approach mentioned above has allowed Laikipia’s wildlife to flourish so that, today, it rivals the famed Masai Mara Ecosystem as a conservation entity. This, together with Laikipia’s extraordinary cultural and habitat diversity, spectacular scenery, and comfortable climate, has led to a thriving eco-tourism industry that benefits a large number of people. Much of the tourism is based on communal land and is community-owned and managed. As such, tourism and conservation are now widely viewed as viable forms of land use within Laikipia. At present, Laikipia is one of Africa’s most exciting and rewarding wildlife safari destinations. 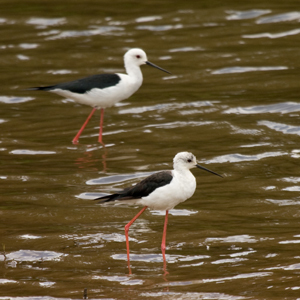 It is also a model for the successful conservation of wildlife and biodiversity on private and communal lands. For more information, visit www.laikipia.org.